While researching about this place, our inquisitiveness about King Bindusura (Father of Ashoka) increased. To our surprise, sadly, very little has been found out about him or documented as compared to king Chandragupta Maurya (Father of Bindusura) and Ashoka himself. Though Bindusara was the key person responsible for the consolidation of the Mauryan empire post Chandragupta era, it seems somehow the life story of Bindusura is missing. It is also quoted at many places that Sushima (elder brother of Ashoka) was the choice of Bindusura as the next heir of Mauryan empire. But Ashoka killed him and 5 other brothers to gain the throne. King Ashoka's life may be divided into two phases, that during pre Kalinga war and post Kalinga war, the war being the turning point.. Ashokan edicts give us the insight of Ashoka's second half of his life, the Buddhist way of life. The edicts are present even today across India, Afghanistan, Pakistan and Bangladesh. 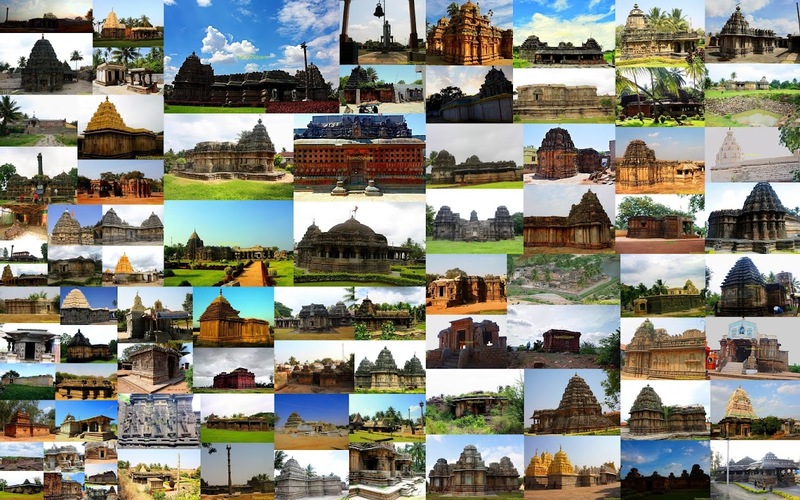 There are 9 such documented Ashokan edicts in Karnataka, all of which have been visited by and written about by a fellow blogger. (Link: Ashokan edicts). 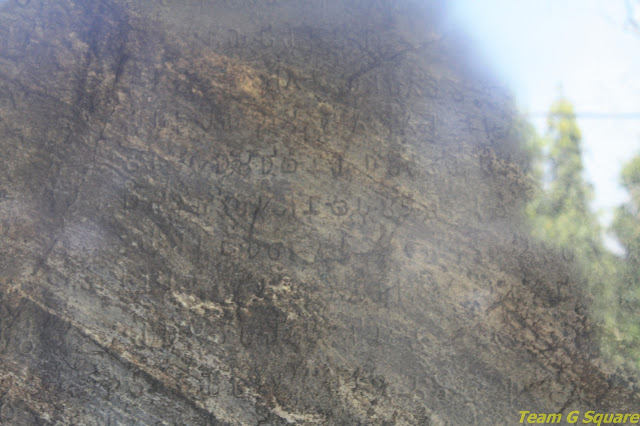 In continuation with our previous post, our perseverance was finally rewarded with a piece of information being disclosed by people at the temple about a rock inscription near Kattle Basavanna temple, though it wasn't sure whether it was the same one we were looking for. They also gave us directions to this temple. We reached the temple and searched for the inscription, but found none. A person directed us to a few stones close by the temple. On close observation, we found one of them to be inscribed and poured water for further investigation that revealed inscriptions in Kannada language.